Newcomer Family Obituaries - Victoria Ann Spain 1954 - 2018 - Newcomer Cremations, Funerals & Receptions. Victoria Ann Spain, age 63, of Toledo, passed away August 4, 2018 at Home. Victoria was born September 5, 1954 in Toledo to Walter and Margaret (Kelley) Spain. She was employed with Consumer's Energy for more than 26 years retiring in 2014. Victoria was a member of Boilermakers Union Local 85 of Rossford Ohio. She enjoyed working outside, gardening, crafting and collecting tools. She loved spending time with her grandchildren and family. 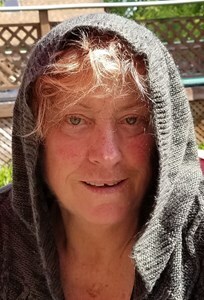 She is survived by her daughter, Taylor S. (Brandon Waganfeald) Pratt, grandchildren, Lily-Ann, Justin Zachary, Skylar Marie and Madison Marie; siblings, Cynthia A. (Michael) Cavagrotti, Gregory A. (Amy) Jones, Stacy L. (Jeffrey C. Wiese) McCormick and Victoria's ex-husband, Stephen Pratt. She was preceded in death by her parents, Walter Richard "Nick" Spain and Margaret Ann Bryant. The family will receive guests Friday, August 10, 2018 from 4:00 pm - 7:00 pm at Newcomer - West Sylvania Chapel, 3655 King Road (419-392-950). Funeral Services will begin Friday at 7:00 pm. at the funeral home. Immediately following the service, the family has invited everyone over to the Sylvania Moose Lodge at 6072 Main Street to gather and continue sharing memories of Victoria. Add your memories to the guest book of Victoria Spain. Vicki was the most genuine person I have known. I always knew where I stood with her, and she had so much to offer as a friend and companion. I admired how she cared for her brother and sisters. And while we did not remain in touch, I hope that Vicki's care and attention carried over to Taylor and her family. I will remember her as a capable and attractive young woman, performing gracefully on roller skates on the boardwalk along the Santa Monica beach. I will remember her on the beaches and cliffs of Baja, Mexico (San Felipe and La Bufadora, respectively). I will remember her rock-climbing in the amber-tinted sunset of Joshua Tree National Park in the High Desert of Southern California. Vicki was strong and determined. She was someone you wanted on your side in whatever you took on. I am glad and grateful that I had her on my side, at least for a while. Godspeed, Vicki. Rest in Peace Vicki. Condolences to the family.